meines Seagate Dockstar unter Linux. 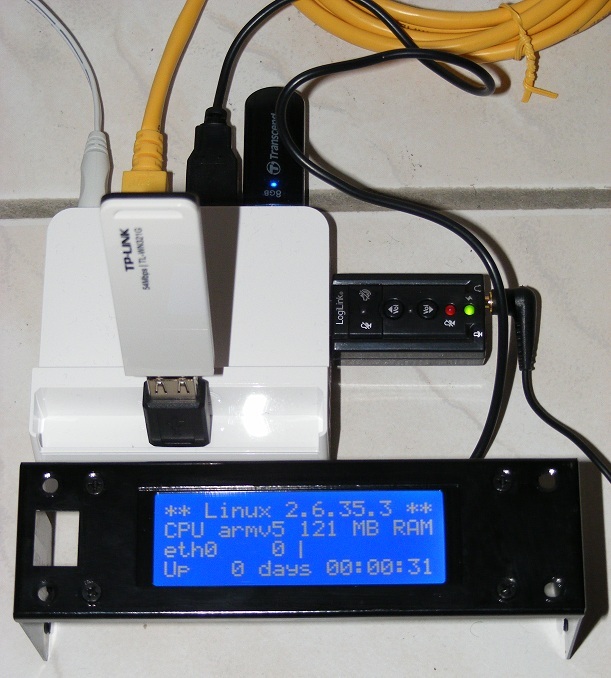 Die /etc/lcd4linux.conf war relativ schnell erstellt…muss aber noch verbessert werden. This weekend I received the new power-supply for my SheevaPlug from NewIT.co.uk. I ordered this power-supply as replacement, because I read about dying power-supplys in some Sheevaplugs. And, YES, it was the right time to swap 🙂 The old power-supply doesn’t look very fine anymore, so it was the ideal time to swap before the old one fails. da das Dockstar eine kleines SheevaPlug ist, allerdings mit nur 128MB Ram – aber auch 1.2GHz CPU Takt. You are currently browsing the Wordpress-Blog von Guido Lehwalder blog archives for August 2010.